Harare - Zimbabwean Vice President Constantino Chiwenga is reportedly back in the country, after a rumored health scare. The country's broadcaster reports that he attended cabinet today, contrary to social media claims that he was on his deathbed in a South African hospital. A group of disgruntled Zimbabweans gathered in South Africa to demonstrates their concerns over executives seeking medical treatment, while local hospitals are on the brink of decay. 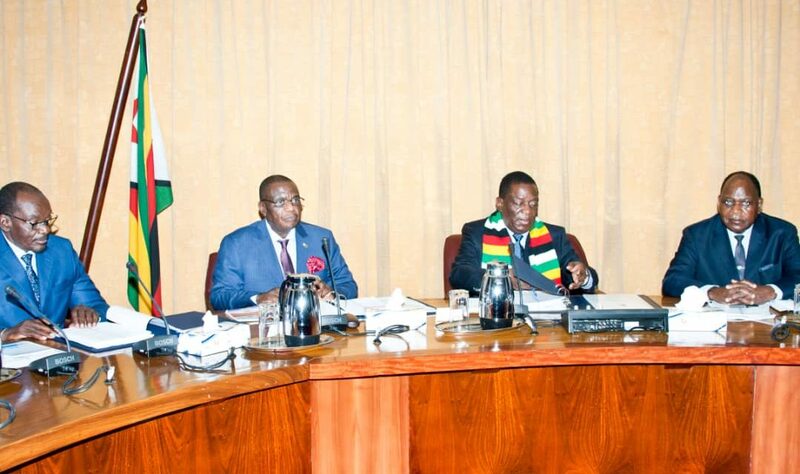 The ZBC reports that, an amused Chiwenga laughed off his health status claims as he set aside a few minutes to exclusively speak to the news crew at his Munhumutapa offices in Harare after Tuesday’s cabinet seating. The hospital allegedly said to be where he is admitted has since dismissed attending to him as a patient. South African opposition political outfit, EFF has out rightly distanced itself from mobilising the people who demonstrated outside the hospital in Cape Town. A jovial Chiwenga had a lighter interaction with the ZBC News, emphasising the centrality of understanding the history of the liberation struggle to the well being of Zimbabweans, especially the youths, claimed ZBC.